Gerald, Mo. – The Gerald Board of Aldermen met for a Special meeting last Tuesday, August 27, to discuss various ordinances and “Unfinished Business”. 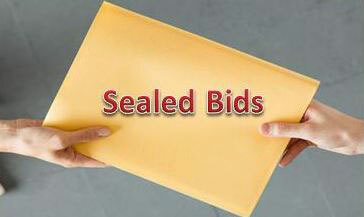 The sealed bids for the closing of the East Lagoon were opened; two bids were received. By Kaylin Bade. 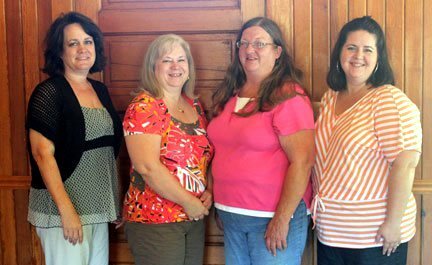 Pictured left, Kelley Angell, Carla Hackstedt, Linda Trest, and Schahara Wise. Gerald, Mo. - The Gerald Chamber of Commerce met over the noon lunch hour today to discuss a variety of topics and events, as well as elect their 2013/2014 Officers. 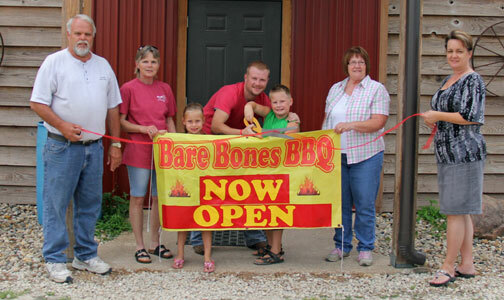 The Gerald Chamber of Commerce welcomes Bare Bones BBQ with ribbon cutting. Pictured left to right: Gerald Mayor Otis Schulte, Shannon Wright, Kaylee Wright, Gage Wright, Danny JR Wright, newly appointed Alderperson Annett Justus, and chamber member Kelley Angell. Rosebud, Mo. - Bare Bones BBQ, located on Highway 50 between Gerald and Rosebud, Mo,. is a one of a kind family owned restaurant, where I promise you will leave only wanting to come back for more of their speciality smoked meats and Cajun cuisines that'll make you feel like your in Louisiana. Bare Bones BBQ features some of the best recipes from across the United States after Danny Wright SR spent decades traveling with the Anheuser-Busch Clydesdales, collecting recipes for smoking meat from states like Texas and Louisiana. 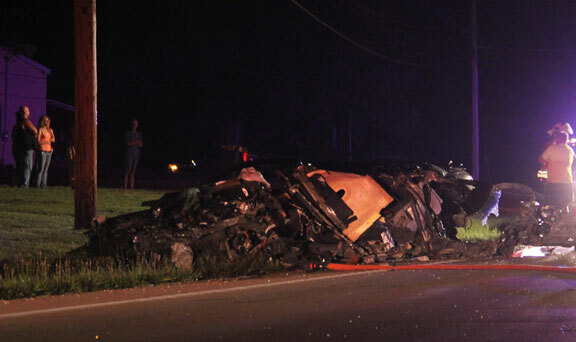 Pictured above is the black Pontiac Grand AM that caused this morning's deadly crash. Gerald, Mo. - Earlier this morning at 1:50 a.m. four ambulances, two helicopters, and three fire departments responded for a head-on crash that left one killed and three seriously injured. 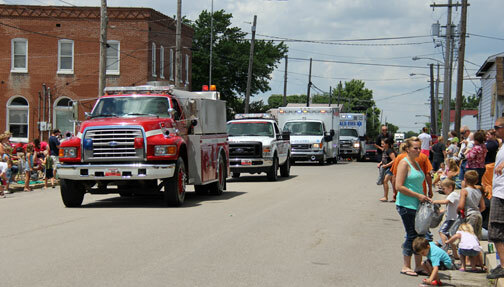 After Gerald Fire and EMS crews along with Beaufort/Leslie Fire arrived on the scene, approximately three tenths of a mile east of the Gerald City Limits on Highway 50, two helicopters and two additional ambulances, New Haven and Owensville, were also dispatched. According to the Missouri State Highway Patrol, Brandon Janssen, 25-years-old, was killed Sunday morning after he crossed the center line, hitting a Pontiac G6 head-on, leaving the driver and one passenger with serious injuries. Gerald, Mo. - Hundreds turned out for Saturday's Annual Gerald Community Picnic, which began with a parade and ended with a dazzling fireworks display. The Gerald Community Picnic has been going on for decades; in fact, most of those we spoke with us couldn't remember when it started, and just said, "We've had a picnic for as long as I can remember." Gerald, Mo. – At a special meeting of the Gerald Board of Aldermen, the subject of the Gasconade County R-II School District employing a School Resource Officer (SRO) was discussed after school officials seem to have no plans of providing a SRO at Gerald Elementary School, which is part of Gasconade County R-II's School District. 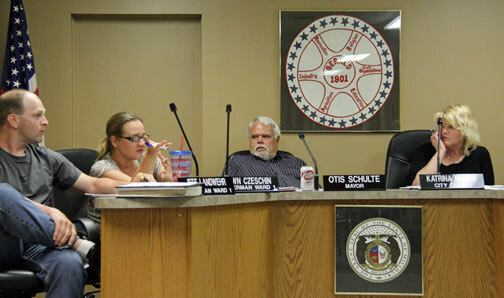 At their last School Board Meeting, approval was granted for the school district to pay 75% of an Owensville Police Officer's salary, according to Alderman Jeff Landwehr, who stated he attended the meeting. Gerald, Mo. - Outlaw Rodeo Productions continued their 25th Anniversary celebration in Gerald last weekend at the Gerald Bridle and Saddle Club Rodeo. This was the 36th Rodeo for the Saddle Club. Gerald, Mo. - Over the weekend, Samantha and Harlee Williams debuted at the Gerald Rodeo as the 2013 Gerald Rodeo Queen and Jr. Queen. The duo was crowned on Thursday at the Rodeo Sponsor Dinner held at the Saddle Club’s Arena. 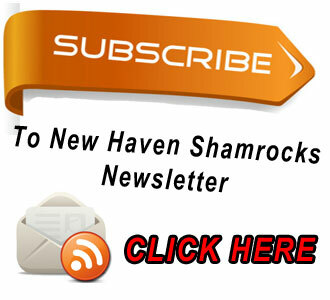 Each year, Rodeo Queens are chosen based on a Horsemanship Class and Rodeo Ticket Sales. By Kaylin Bade, photo by Kyle Quick. Gerald, MO - Tuesday evening, at a regular meeting of the Gerald Board of Aldermen, bids were opened for the upcoming project of the renovation of City Hall. Two bids were submitted to remodel the current Board Room, which includes a new roof, bathrooms, a 28 foot addition onto the front of the building, and removing and adding various walls. --Words could never define the meaning of love; instead it is defined through expression and watching two people celebrate 60 years of marriage. 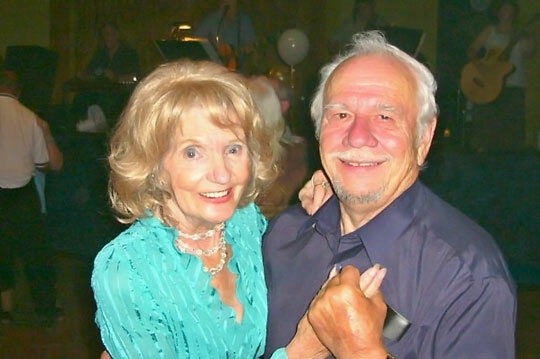 This past weekend Norman and Ione Pilarski celebrated their 60th wedding anniversary after they were married on May 30, 1953.